Since the start of online poker with real money, the game has reached an audience across the globe. Playing poker online and earning money is legal and most websites often put their licenses and legality displayed for credibility. A player can sign into the gaming account, then add funds therein and make a fortune out of it. Poker has shown substantial growth with over thousands of websites and new ones coming up every year. Online gaming basically cuts down the time and effort one takes to reach a casino and yet have the same fun on the website with the touch of a button at his comfort zone. 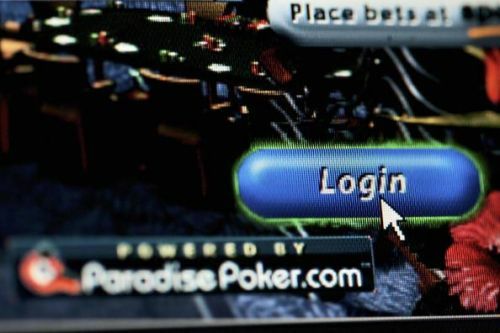 In online poker, one can not only play with his money and join any table he pleases but can also participate in the tournament or just get a ticket to watch it on his computer or phone. The website not only allows free software for desktop but also provide apps for mobile phones. Players often have to download additional software for a better gaming experience. Playing Poker online with real money has many benefits as the website give a bonus in funds on first sign up, constant offers for a surplus in fund deposits, customer loyalty programme/rewards and different events all over the year. Some websites or apps do not accept Indian plastic currency so players can use the help of money transfer services to transfer funds into the gaming account. The money a player makes on such online gaming poker websites or apps is a subject to taxes, which are often pre-deducted and duly paid to the respective government. Every reputed website for playing poker with real money has a really good and secure software with convenient deposit and withdrawal option for funds. Many reputed websites for poker with real money has really good customer services. They are 24-7 available for help in case the customer has any issues or inquiries. Players who are new to the game can learn from the free tutorials on how to play poker, videos, pro tips given by the professionals on the websites. Players can play with free chips also if they just want to have fun or learn. Online poker players also have the chance to play and interact with different Celebrities in different events all over the world. Quite a few celebrities endorse different online poker gaming websites to encourage more players. Online poker with real money tournaments has reached the highest prize pool money of $52,818,610 in the year 2006. Such prize money continues to bring a new breed of better players every year. Poker is no longer just a hobby, it has become a profession for quite a few online poker players. Poker requires strategy and skill as only that determines your winnings which is considerably easy with online poker for real money. As a sport being available online has set a trend over the past decade and will continue to gain more popularity.